Ever since the discovery of the magical rainbow layer cake, it seems that the party theme of ROYGBIV has become a trend and one I'm certainly not bucking. Why would I? A party full of color is a happy one indeed. One of the best ones I've come across is this real first birthday party thrown by Khali for her little girl. 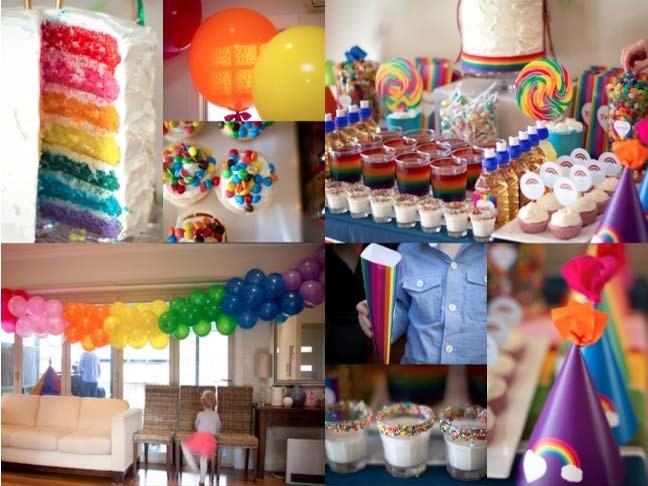 I love the attention of detail like the balloon garland and sprinkle lined cups of milk and can imagine that the birthday girl was ecstatic to see such a spread of rainbow treats. For a bigger dose of color, make sure to check out the entire party on Khali's blog.